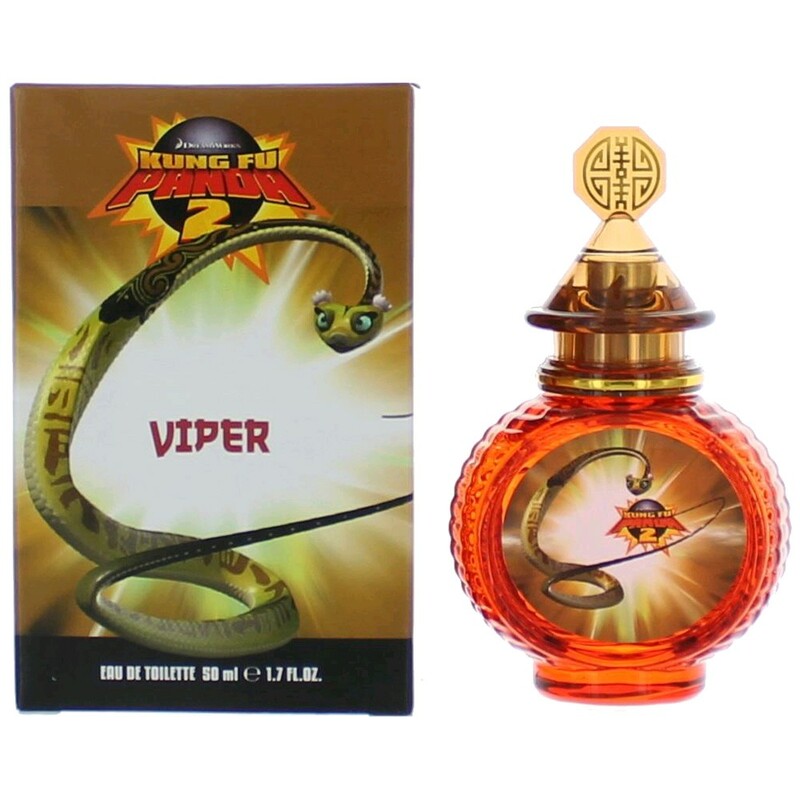 Kung Fu Panda 2 Viper by Dreamworks, Inspired by the animated movie Kung Fu Panda 2, this fragrance was created for both men and women or girls and boys to share . This unisex fragrance is meant to inspire you and bring a bit of fun into your day or night. The top notes are melon, bergamot, red currant and strawberry. The heart notes are juicy pear, sweet plum and jasmine. The bottom notes are musk and cedar wood.